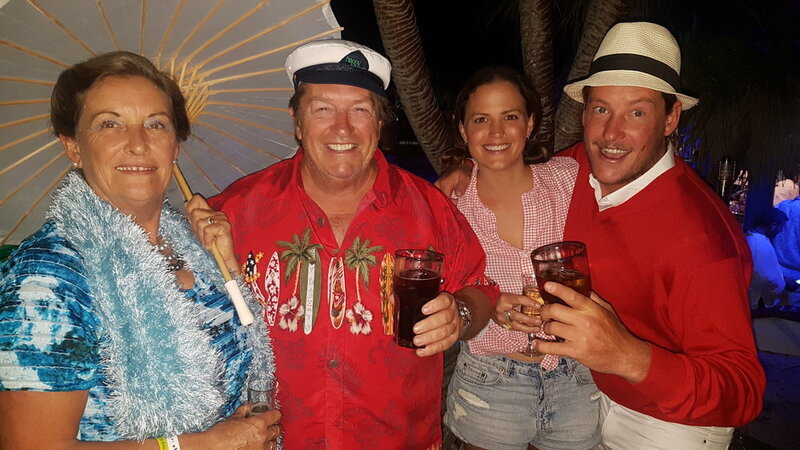 32 of the 34 yachts that departed from Southport on the Gold Coast, Australia with the Down Under ‘Go East’ Rally on May 15th 2018 have arrived in New Caledonia. Two vessels returned to Southport soon after departing with autopilot failure. Overall the passage was a good one however some participants found the first 36 hours challenging thanks to a period of 3-4 metre swells and the occasional squall delivering short bursts of 30 -35 kts winds. Seasickness was the major issue with the crew of most vessels crews succumbing at some stage, however, as expected the swell reduced and conditions improved on day 3. Participants were required to send to Northland Radio position reports along with vessel and crew status updates every 24 hours. This was done by either SSB radio or via email using an Iridium Go. Northland Radio then monitored progress of the fleet with daily updates being provided to the rally organisers via email. Positions of vessels that were fitted with an Iridium Go and also had a PredictWind subscription were automatically plotted on the PredictWind Go East Rally tracking page which allowed Northland Radio as well as family and friends of the participants to follow the progress of the fleet in real time. The first two vessels arrived in New Caledonia on May 20th having made the voyage of around 800nm in just over 4 ½ days. The remaining 30 vessels arrived between the 21st and 23rd May. 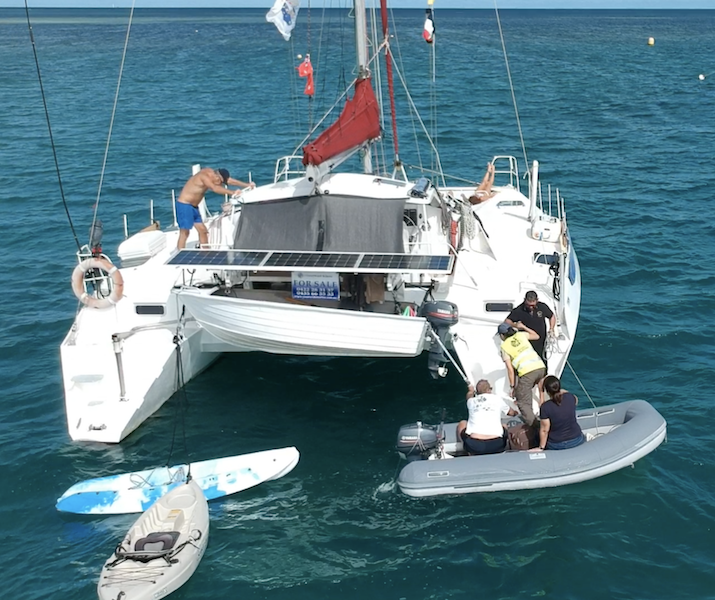 With the assistance of Noumea Yacht Services, the Down Under Rally arranged for permission from the New Caledonia authorities for the fleet to arrive and clear in to the country at Ilot Maître instead of Noumea. 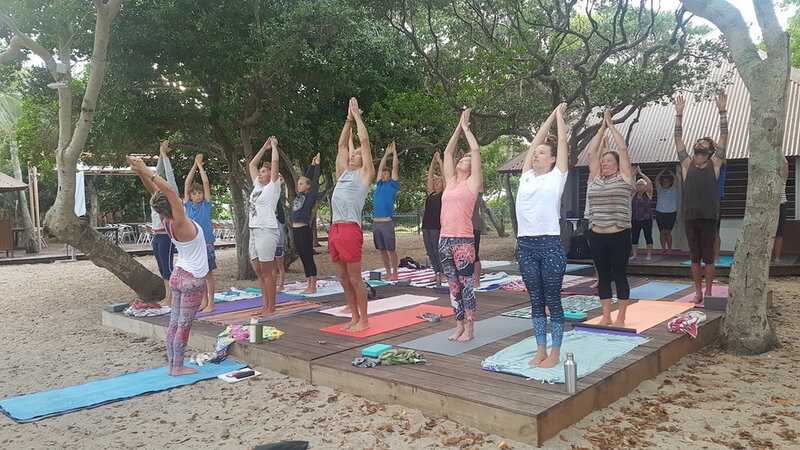 This allowed the participants to experience a hassle free, relaxed and convenient arrival in New Caledonia. 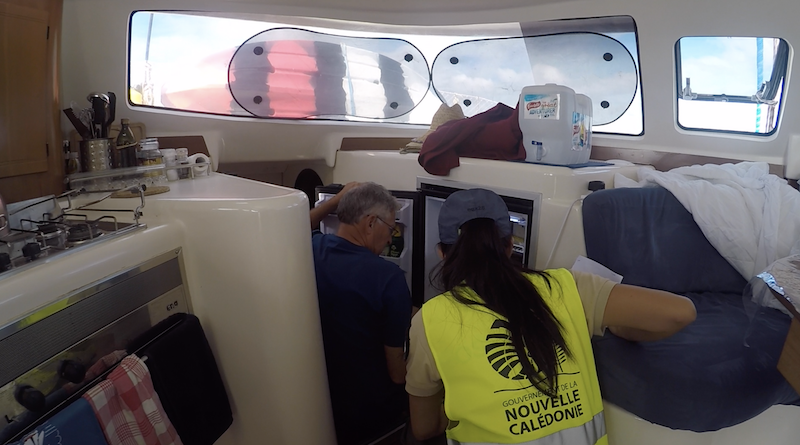 Officers from New Caledonia biosecurity came to Ilot Maître and were taken to each vessel by the rally organisers to carry out the vessel inspections. After all the biosecurity inspections had been completed the masters of each vessel were then responsible for gathering the passports of all persons aboard their vessel. The masters then boarded a free ferry at Ilot Maître and were escorted by rally agents Noumea Yacht services to the mainland for customs and immigration clearances. The whole process was well organised and went very smoothly. Once all formalities were complete, thanks to the co-operation and support of Ilot Maître resort, rally participants and their crew were able to go ashore at Ilot Maître and take advantage of the opportunity to rest and relax while enjoying full use of the resort facilities and enjoy the luxurious resort grounds. On May 23rd the Bonjour les Marins (Hello Sailor) events thanks to the support provided by New Caledonia Tourism (NCTPS). These events took place at the Ilot Maître Escapade Resort and included a morning session with Yoga4Yachties, Beach Olympics, Welcome to New Caledonia travel and cruising presentation and information session, Traditional dance performance by local group WE-CH-CA, Welcome cocktails, BBQ dinner, Awards ceremony and the final event of the rally, the End of Passage Party. 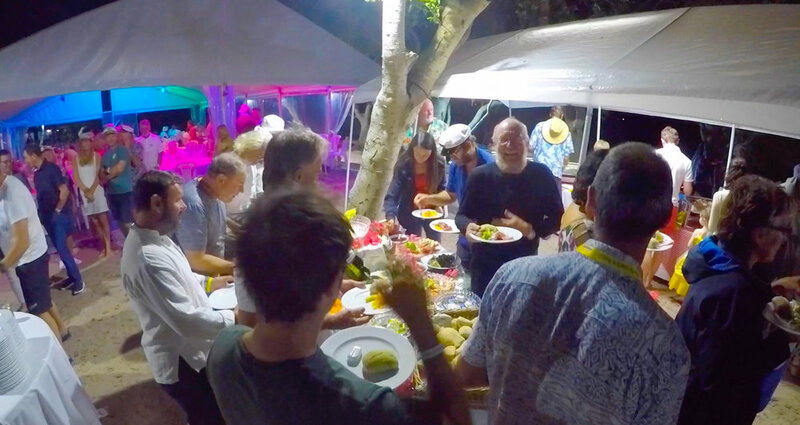 The majority of the rally participants will now spend the next 10 weeks cruising and exploring New Caledonia and then sail onwards to Vanuatu with the Down Under NC2V Rally (New Caledonia to Vanuatu Rally). A further 6-8 weeks will be spent cruising the waters of Vanuatu before returning to Australia in late October / Early November. Down Under Rally organisers John and Leanne have been praised by participants for the professional and personal manner in which they have run the 'Go East' Rally with many saying they would not have made the voyage and had such a wonderful experience if it were not for the rally. Down Under Rally director John Hembrow stated that the rally had exceeded all expectations and added that it would not have been possible with out the support of their many rally partners in particular their premium partners, Bundaberg Port Marina, The Boat Works, DBY Boat Sales, Grotty Yachty Clothing, Multihull Solutions, New Caledonia Tourism & PredictWind. Newer PostDown Under Rally delivers the WOW !